We came across some interesting paper products at the recent Mega Show. Stone Paper, made from stone and is 100% tree free. It requires no tree cutting and no air pollution, an environmentally friendly product developed through continuous innovation and technology! Something unique about this paper is that its water resistant! As shown above, information written on the paper will not smudge upon contact with water. A map printed on stone paper that is water proof, can be written on when wet and does not crack or damage on the fold. Applicable to books, maps, brochures or any outdoor application, where one do not have to worry about their getting it wet due to the rain! 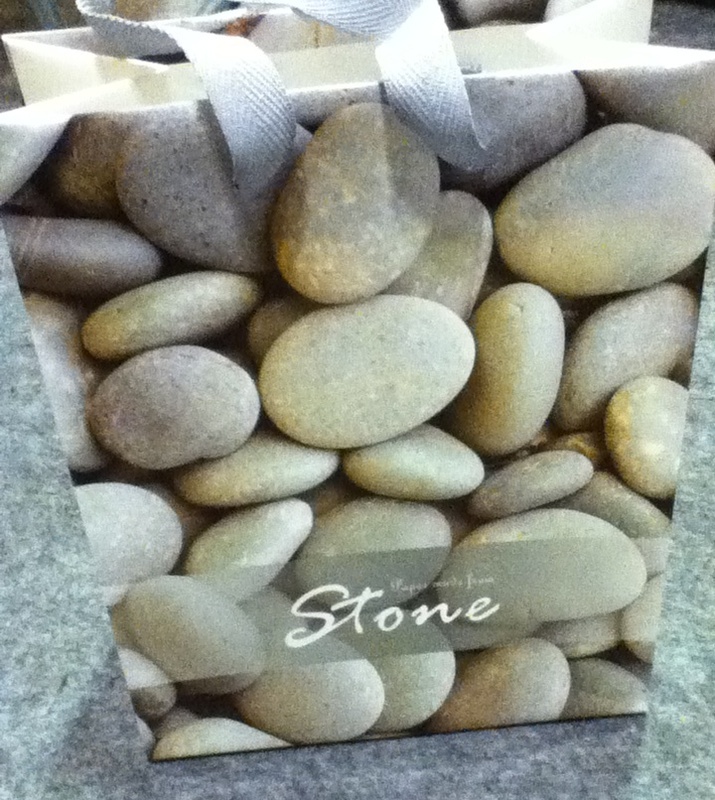 Stone Paper can be used to manufacture shopping bags as well – a great alternative to traditional paper bags. Bosch, Germany have used stone paper in a range of Carry bags for spare parts. It has lower environmental impact on the earth and are often used by companies who wants to help in conserving trees. Join the Stone Age and take part in this earth friendly process. With Stone Paper, one can read a magazine while in the swimming pool/Jacuzzi! Contact ODMasia now if you would like to play a part in saving the earth! Check out ODMgreen for a full line of customizable eco-friendly promotional products, including apparel. We will shortly be posting more news from the Eco fair held at the HK Airport Exhibition site.